Review after 3 Month with Samsung Galaxy Note 8. The Galaxy Note series is an excellent and special line of smartphone. I've always loved this series because it's consistently been at the bleeding edge of smartphone technology but in any case 2017 has been an excellent year for Samsung and like the S8 the Galaxy Note 8 looks to be one of the best phones of 2017. I've been using the Samsung Galaxy Note 8 for the last three months and I think it's time for us to have a chat about it let's take a look. So what can we say about Samsung's design these days? 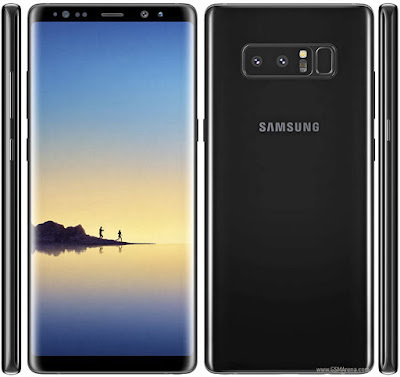 Gone are the tacky plastic shells and now Samsung's are kings when it comes to industrial design producing phones that are both beautiful and well-built and all this starts with the screen which is an excellent quad HD Super AMOLED curved infinity display and improving on the S8, the Note 8 has one of the best and brightest screens on the market today. It supports HDR content so consuming media is an absolute joy and that's especially thanks to the huge screen making it one of the most immersive phones on the market and what I also like about the Galaxy Note 8 over the S8 is that the curves on the corners are a little bit less pronounced as well so meaning you have just that tiny little bit more of usable real estate. And then the rest of the phone is as you'd expect from Samsung: it's a Gorilla Glass 5 sandwich with an aluminium frame down in the middle and what I like about the design of the Note 8 is like the glass curvature when you compare it to the S8 is a little less pronounced so it's a little easier to hold in the hand. See the rest of the Galaxy Note 8 review in the video.